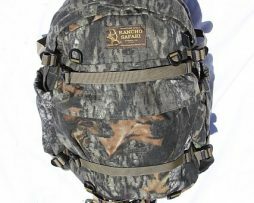 RANCHO SAFARI introduces the all-new BCQUIVER® (BCQ), a vastly superior bow-mounted quiver option based on the renowned Catquiver backquiver concept that conceals and protects arrows more effectively. 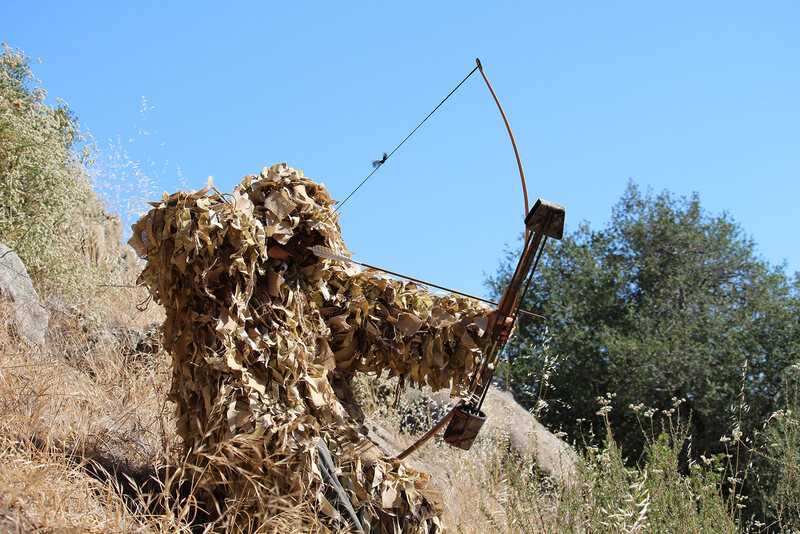 Since 1985 RANCHO SAFARI’s Jerry Gentellalli has made its reputation by solving common problems faced by real-world bowhunters. His revolutionary BCQ® solves issues inherent to standard bowmounted quivers largely unchanged for five decades. 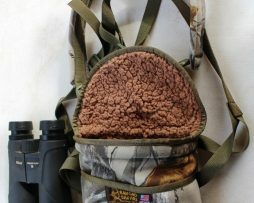 Firstly, the BCQ’s® felt-lined, fleece-covered hood completely contains fletchings. Use the brightest fletchings for positive arrow tracking and recovery without flagging wary game. Eliminate fletching buffeting on windy days for greater shooting accuracy. 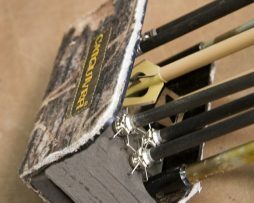 Completely eliminate the possibility of debrisclogged nocks while totin the short bow.Secondly, the BCQ’s® rubber-padded broadhead cradle secures arrows by the point. 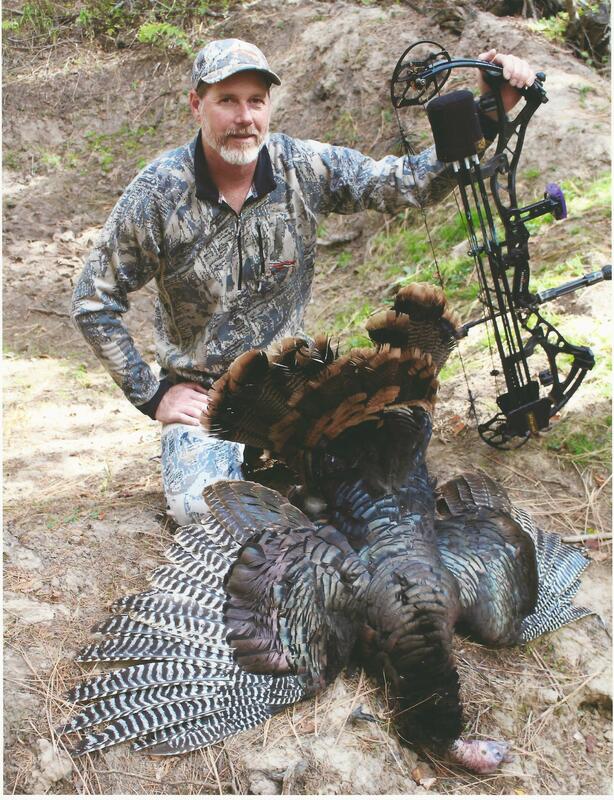 No more dulled blades caused by shoving and pulling broadheads in and out of dirty foam hoods. No more accidently deployed mechanical broadhead blades. Arrows pressure fit between nock (fletching hood) and point (broadhead cradle), allowing silent, effortless extraction and return. Head and cradle are individually adjustable, accommodating any length and diameter of arrow. 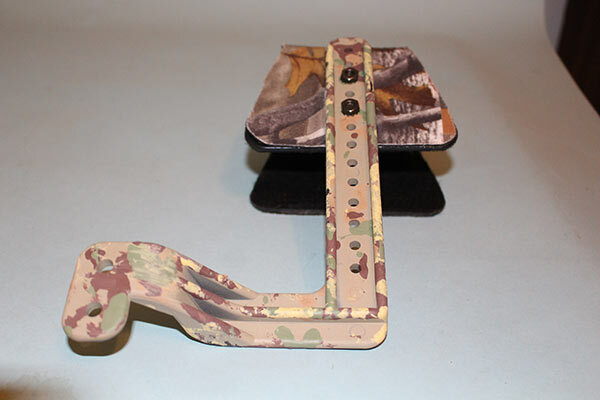 This unique design allows setting your bow on the ground while glassing or ranging, or pushing it ahead during hands-and-knees stalks, without damaging bowsite, fletchings or creating feather rustle. The design also shelters natural feathers from the elements. 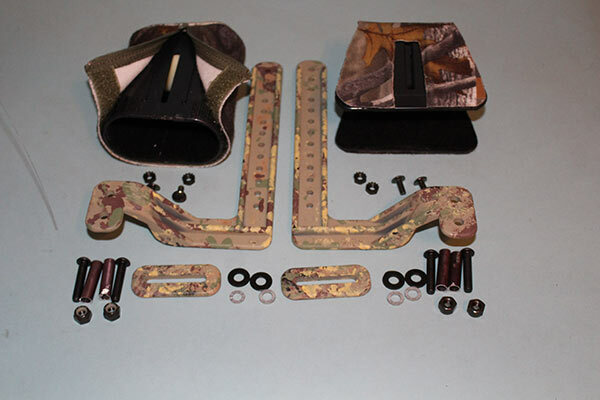 The BCQ® includes rugged ABS plastic hood and broadhead cradle and vertical adjustment bars and mounting brackets made of stout, space-age carbon material that’s 100 percent reliable yet lightweight. 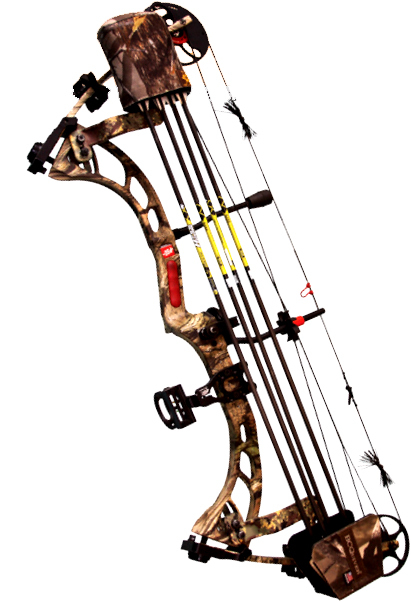 The two-piece design provides exceptional bow balance for greater bow accuracy. 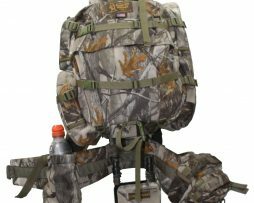 The fleece-covered and felt-lined hood and broadhead base work as a stabilizer and offer dramatic bowdampening qualities. 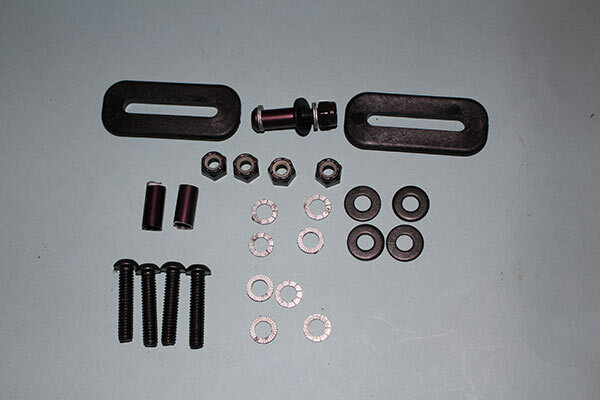 Each piece attaches to standard upper/lower riser-quiver mounts of any brand compound available today. 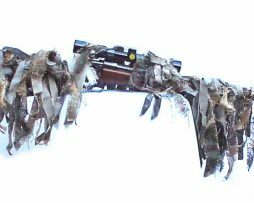 The BCQ® holds four to six arrows and is covered in a variety of camouflage patterns from Black, TrueTimber® and Rancho Safari’s own JeriFlage® (woodland, desert or snow). 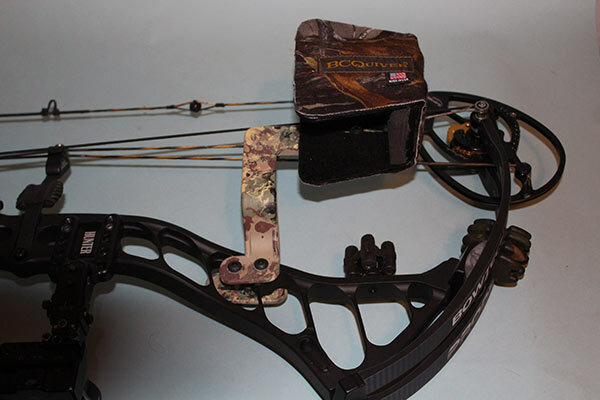 Provides fletching coverage and protection not found in any other bow-mounted quiver design. Protects natural feathers from prolonged rain and snow. Contained fletching hood eliminates “weather-vane” fletching buffeting in windy conditions. Keeps nocks out of mud and debris on today’s shortest compound bows. 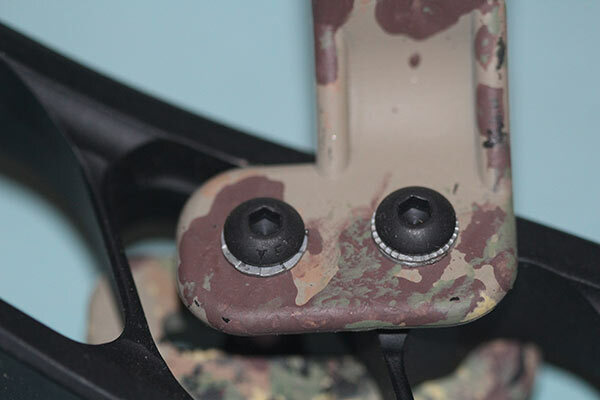 Cradle design won’t dull fixed-broadhead blades or prematurely open mechanical blades. Fits any compoundbow made today; and also crossbows. 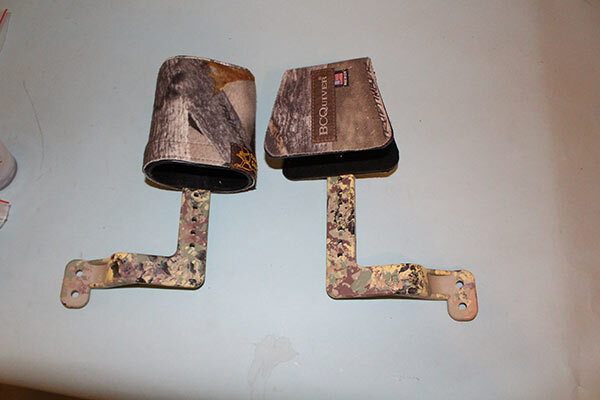 100% bowhunting silent inside and out – offering dampening and stabilization qualities after release. Lightweight, 1 lb, two-piece design maximizes bow balance. Highly adjustable to accommodate the longest or shortest broadhead/arrows in any diameter. Arrows must be the identical length. 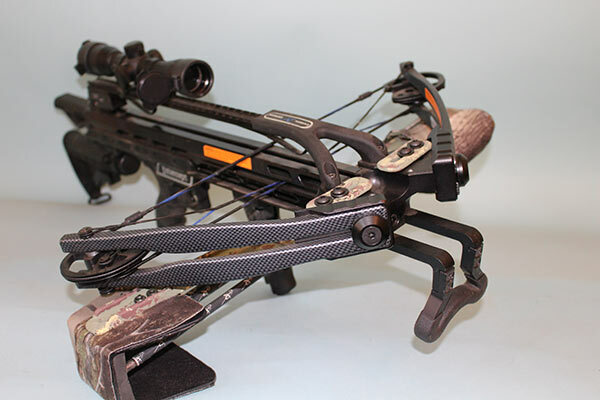 Smoothly remove or replace arrows by gently pressing the fletching and nock end into the hood. 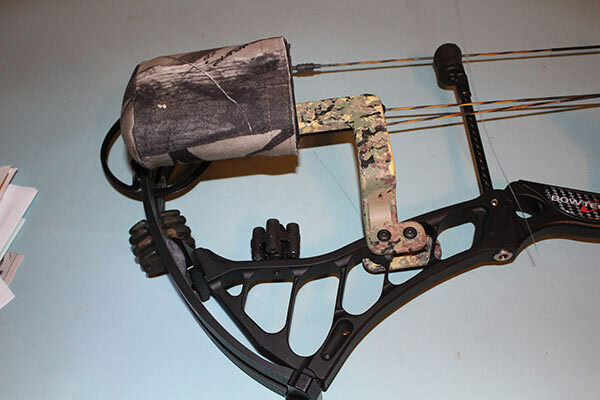 Unlike standard bow quivers with arrow grippers, shaft diameter makes no difference; arrows will NOT fall out! Nail-tough construction assures long life and complete reliability during extreme bowhunts. 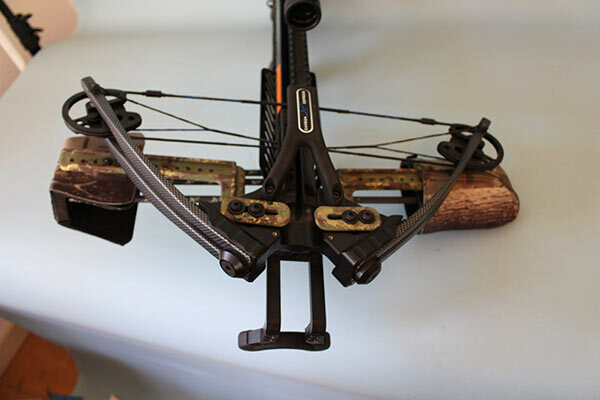 Lay bow on ground or push it ahead while stalking without worry of fletching damage or noise. 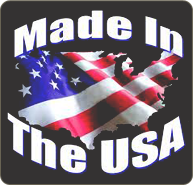 Proudly made in the USA by American workers with American materials.